Warner Bros have revealed the cinematic opening for Middle-Earth: Shadow of War – Desolation of Mordor, the game’s final DLC. 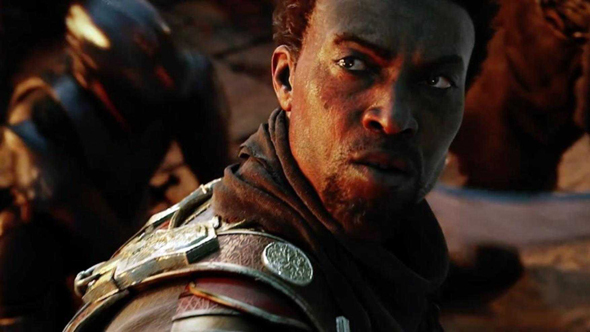 We’ll take the role of Baranor, Minas Ithil’s guard captain, who’s about to reunite with his long-forgotten brother. Still undecided on whether to pick up Middle-Earth: Shadow of War? Check out our review! Desolation of Mordor is set in a new location to the east of Mordor: the desert plains of Lithlad. Baranor and his brother Serka are out to rid the region of Orcs – they’ll work together to raise a mercenary army, with the ultimate goal of capturing the fortress of Shindrâm. Interestingly, Baranor is a regular human, so players will not have access to the range of magic powers and upgrades that the main game’s Talion did. There are several ways to get the new DLC. You can buy the full expansion pass for $39.99 / £32.99 / €39.99 and get it all the story expansion pass for just Desolation of Mordor and the previous story pack Blade of Galadriel for $24.99 / £19.99 / €24.99; or Desolation of Mordor by itself for $19.99 / £15.99 / €19.99 when it releases on May 18.